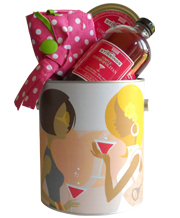 At Goodie Tins, we believe that gifts do not have to be boring and mass produced. 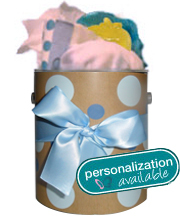 Instead of the typical flowers or gift baskets we believe there is a better way. You can choose from several unique tins that suit just about any personality or occasion. We are proud to offer exclusive designs from both seasoned veterans in the industry as well as fresh, new up-and-coming designers. We hope that you have enjoyed browsing through our collection of baby, hostess, food and other tins. We are committed to making your shopping experience a pleasant one. We hope to make a positive impact on your day by offering you personal attention and exceptional service with every interaction. And, as always, whether you have a question about a product or you are looking for some inspiration, please do not hesitate to contact us at info@goodietins.com. or 1-888-470-3110.